Police in Kansas City, Missouri, announced on Twitter Tuesday that a tip led officers to locate the "pilfered intestine" inside a vacant house. The 10-foot (3-meter), 150-pound (68-kilogram) prop, worth $4,000, was stolen this month from the back of a pickup truck. 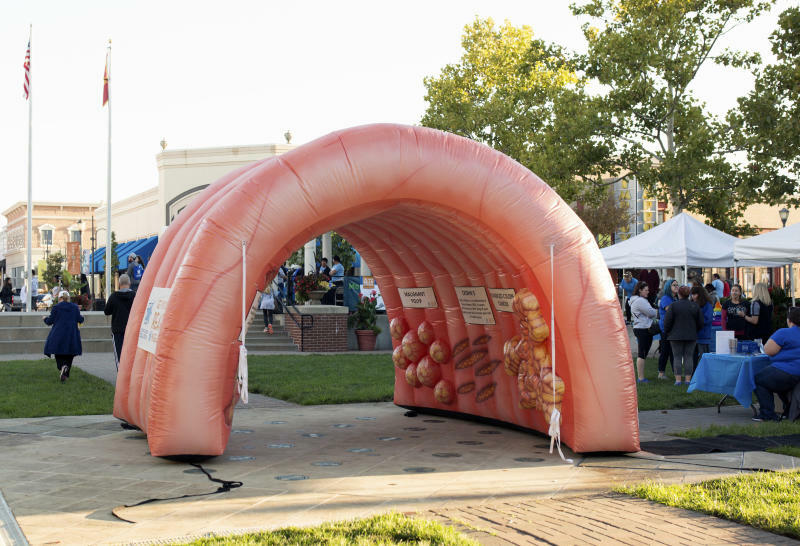 It had been purchased by the Colon Cancer Coalition, which hosts walking and running events under a "Get Your Rear In Gear" campaign, and was stored at the University of Kansas Cancer Center.